Revolutionary new product!!! 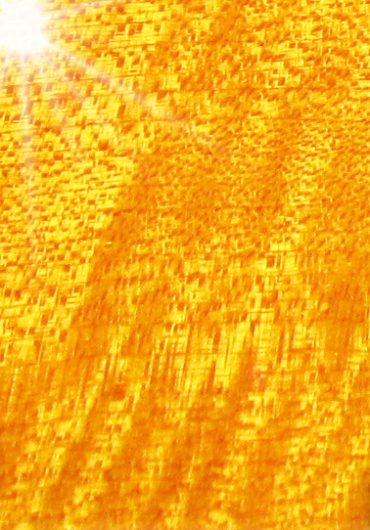 Finish your work in flying colors! Complete, spot-on color control for your repairs and restorations. 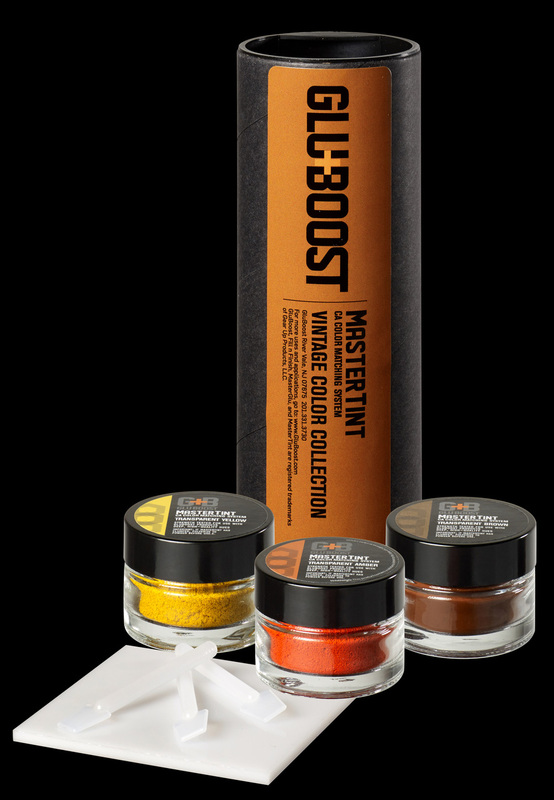 MasterTint additives make color matching fast and easy. 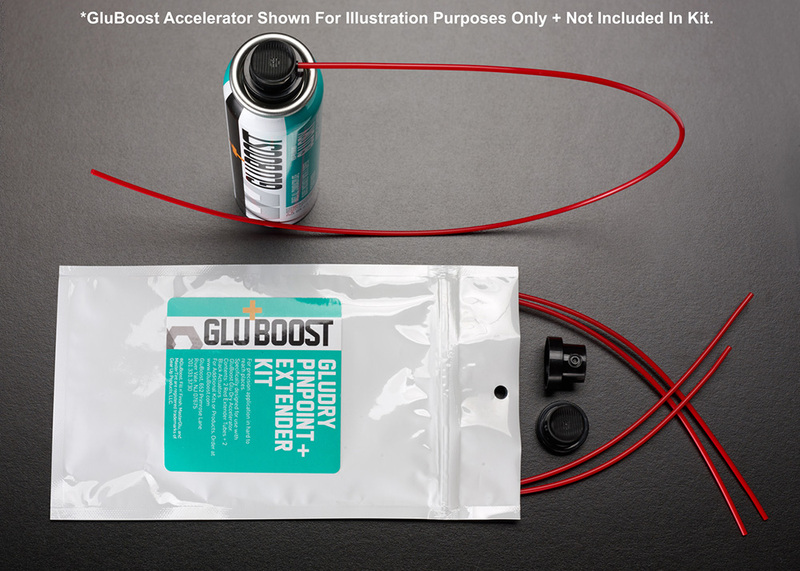 Formulated to work with all GluBoost products. Kits come with everything you need for the perfect match every time! 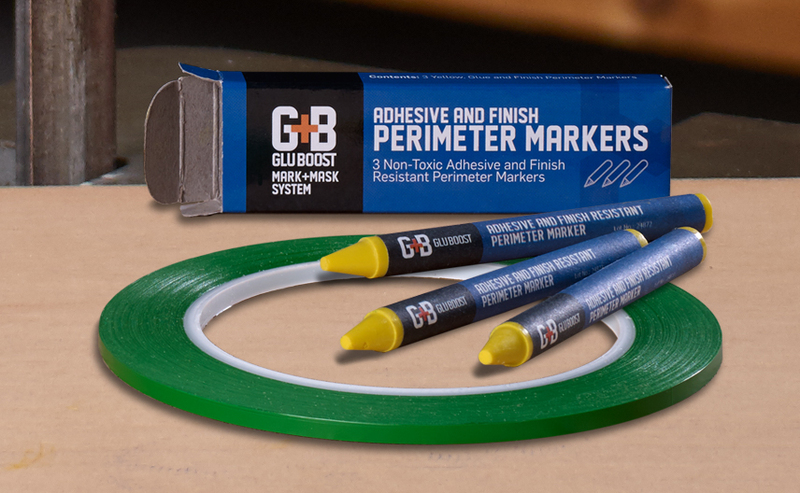 – Strength-tested:Unlike generic off-the-shelf colors, MasterTint will never weaken your polymeric bond, so your work remains sound over time. – Scientifically formulated specifically for use with MasterGlu CA and Fill n’ Finish Pro Formula products. – Mix and match colors to your specific needs. 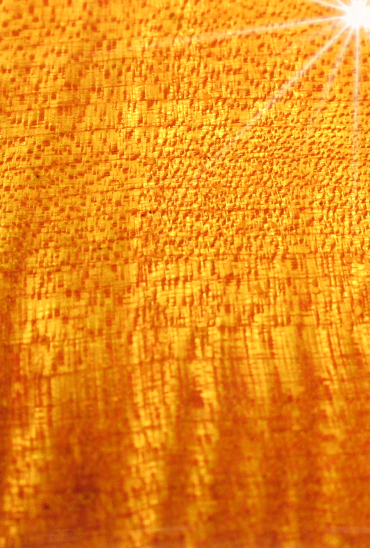 – Pure, deep high-quality colors allow natural grain to show through. – All kits come in sturdy, stay-fresh, moisture-resistant storage containers and ships complete with three spatulas and our durable non-stick mixing palette which CA just wont stick to! Three Transparent Colors in stay-fresh, moisture-resistant storage containers (one Brown, one Yellow and one Amber), one uniquely durable, a non-stick mixing palette and 3 dispensing spatulas. Four shades in stay-fresh, moisture-resistant storage containers (3 Black and 1 White), one uniquely durable, a non-stick mixing palette and 3 dispensing spatulas. *The spatulas are ideal for ease and convenience while dispensing color, and our mixing palette is made of a unique material that CA’s just won’t stick to! You have (0 item) in your cart. 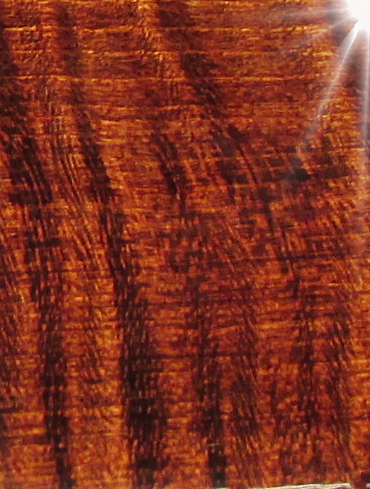 Professional Use Cyanoacrylate: Use GluBoost When Strength, Appearance & Performance Matter.